Incloude Review : Genuine Business Or Big SCAM? Simple Wealth Creators Review : Easy $10,000 Or Internet FRAUD? Yota Review : Another Obvious SCAM Or Legit Business? Yota is a new venture in online marketing and it is becoming popular every single day. This shows that a lot of people are interested in knowing exactly what its all about. They are also interested in knowing how it operates and if there is a chance to earn with this platform. If these are some of the reasons why you are here, then you are in the right place. This ultimate Yota Review will answer all your questions and clarify your doubts. Yota is an MLM venture that claims to have been in operation since the year 2013. However, there is no available evidence online that this company existed before the year 2016. 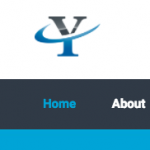 The business has its domain name registered as Yota.biz. However, registration of this domain name was done privately. This means that the registration location of company’s domain name is a mystery. You will be surprised to know that this is not the only hidden thing about this company. Going through the company’s website, you will not find anything about the company ownership. There is also no information about who runs the company and where it is located. As you can see, there is a lot of anonymity associated with this MLM. This raises a red flag on the authenticity of the venture as the genuine MLMs are openly upfront about the company ownership and management. The private registration of the company’s domain took place on 22nd November 2016. However, on 22nd July 2017, this domain registration was updated. This signifies that this is probably when the Yota ownership was exchanged. There is an official Skype support account listed on the website. Nonetheless, even if the company’s website does not give information about who owns and runs the business, there are hints that it is in Russia. Or else, this company is run by Russians. A lot of Yota information needs clarification before anyone decides to invest in the company. Therefore, you should think long and hard before becoming a member of this company. Let’s take a look at the products that Yota offers retail customers, shall we? There are no products or services that Yota offer for retailing purposes. As a matter of fact, the company affiliate membership is the only thing potential clients can engage in once they join the company. If you are interested in being part of the company’s compensation plan, you are required to sign up and invest in the venture. To get started, you can invest anything between $35 to $2.5 million dollars. This is per the ROI agreement on a day to day basis. The capital amount invested by an affiliate is what determines the ROI payment amount to be expected. An affiliate can request the removal of the initial capital in case they invested in higher levels. This is from Sya and above. The amount that the affiliate receives from the company is equal to what was originally invested together with any accrued ROI payment deduction from the capital returned. A unilevel compensation structure is what Yota uses to pay referral commissions. This is where an affiliate is placed at the top of the team and anyone else he/she recruits is placed under them. This makes the level 1. In case any level 1 members recruit other affiliates, the new members are placed at level 2 of the original member’s uni-level team. This continues in theoretical infinite level numbers. Below are the percentages of ROI payments made to members across the 5 levels of a uni-level team. Joining Yota is free of charge. Nevertheless, for you to be an active Yota member, you are required to invest a minimum of $35. This gives you a chance to participate in their packaged income opportunities. Yota is a venture that cannot be relied upon to meet their promises as an MLM. This is because the ownership of this company is a mystery. The location of the venture is also not known. This anonymity leaves a lot to be desired for any online business. Not-withstanding that the only verifiable source of revenue is new affiliate investment. Since the company claims a pay of daily ROI, this makes the venture a Ponzi scheme. Just like other Ponzi schemes, when there is low affiliate recruitment, the ability to pay a daily ROI slows down. This implies that Yota might not meet their daily ROI obligations and this usually results in a collapse. Therefore, at some point, this Ponzi scheme will cause losses to the majority of investors. This shows that your money is better off invested elsewhere. I hope that my Yota Review was of extreme value to you.